Happy Canada Day from Royal City Rag! On July 1 2009, Royal City Rag headed out to Riverside Park to celebrate Canada Day on location with storytellers Sya Van Geest and Brad Woods, and singer-songwriter Sam Turton. Despite the poor weather, all turned out sunny on a fun show. Our storytellers were on fine form; Sya explaining the origin of storytelling and Brad regaling us with his experiences in the cockpit during his first flying lesson. Sam sang several songs on the show, including another new one, “You’re my home, Canada”, written especially for Royal City Rag. He also threw in a soulful version of O Canada to finish the show. Unfortunately we had to beat a hasty retreat at the end of the show after Brad got a bit carried away helping out with the firework display. Catch the show if you missed it. It was a great one! We’ll be back with another live show, this Saturday from 8-10 a.m. on CFRU93.3fm. We were broadcasting from the basement at CFRU 93.3fm on October 30. All part of the station’s fundraising drive, Raise Your Voice, apparently. Evidently I hadn’t raised enough money. Fortunately some good folk from radioland bailed me out however we could still do with some more pledges. 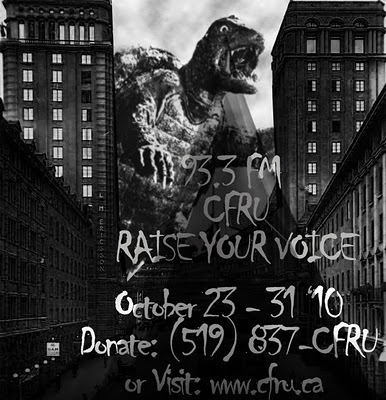 If you enjoy Royal City Rag, please consider donating to CFRU 93.3fm during our on-going fundraising drive, Raise Your Voice. As with every funding campaign, CFRU has a specific purpose in mind for the money raised. The station’s monetary goal for 2010 is $15 000, and will be aimed at getting more portable recording equipment, updating the CFRU website, and building the station’s capacity for spoken word content. At the start of the first hour, we talked to Tristan Dineen about the Canada-Bolivia conference and solidarity event: “Canada-Bolivia Relations in the Next Decade” taking place at the University of Guelph on Saturday, November 6 in McNaughton room 113 at the University of Guelph. The conference runs from 9.30 a.m. until 5.30 p.m. and features guest speaker Hugo Salvatierra Gutierrez, former Bolivian Minister for Rural Development, Agriculture and the Environment in the Evo Morales government and Judy Rebick with an evening of traditional Bolivian culture to follow. Later in the first hour, Jude Vadala joined us to talk about her new CD, Do You Ever and the launch release taking place on November 6 at the Guelph Little Theatre at 8.00 p.m.
Jude, currently a member of the “WinterSongs” trio with well-known singer-songwriters Tannis Slimmon and Katherine Wheatley, has been involved in the Guelph music scene for over 30 years. She was a member of The Bird Sisters with Tannis Slimmon and Sue Smith. She has produced four albums (Flo, Different Stories, She and She and She and Angel Songs) and has worked on 50 musical projects with artists which also include: James Gordon, Harri Palm, Jah Youssouf, Lewis Melville, Lynn Miles and Suzie Vinnick. Jude’s band for this CD release concert features Sam Turton, Jane Lewis, Jesse Turton, Sam Cino with special guests Jane Ellenton, Rob Kerr, Lewis Melville, Tannis Slimmon, The Harmony Honeys. The support act will be The Hoofbeats. Saturday November 6, 2010 at 8 p.m. Ground Floor Music, 13 Quebec St. (cash only). To learn more about Jude visit her on Myspace. Finally to wrap up our first hour, Magee McGuire from Guelph-Wellington Health Coalition joined us on the phone to chat about their townhall meeting on November 2 in War Memorial Hall at the University of Guelph regarding the impact of private health insurance on Medicare and featuring guest speaker Marie-Claude Premont. Tuesday, November 2, 2010 at 7.00 p.m.
We were privileged to kick off CFRU 93.3fm’s annual fundraiser, Raise Your Voice, on Royal City Rag on October 23. We started off the show with an interview about Raise Your Voice with Sarah Mangle, Outreach Coordinator at CFRU. The goal for the 2010 funding drive is to raise $15 000 to update the CFRU website, and help build the station’s capacity for spoken word content through the purchase of a user-friendly production board that will give volunteers the opportunity to be involved in the technical aspects of the station with ease. Why Should You Support CFRU? The station gets NO corporate funding. All our programmers are volunteers. We do not bombard you with silly ads! The station supports independent bands and labels, local and Canadian musicians and artists. Real voices, real people, real coverage, real community, CFRU 93.3fm. Call us at 519-837-CFRU (2378) to announce your pledge between October 23-31 or e-mail us at info@royalcityrag.ca and we’ll set it all up for you. $125 – $250 CFRU Membership, Choice of Hoodie or t-shirt, choice of 4 CDs and special prizes!!! When you pledge you will also receive Thank You gifts from us (see the incentive scale below). You can donate to CFRU by CHEQUE, PAYPAL (via the www.cfru.ca website) or CASH. PLEASE NOTE: We cannot accept payment by credit card although you can use your credit card for PAYPAL. As we are not a registered charity we cannot give out tax receipts. DROP IT BY THE STATION: You can come by the station to give it to us. We are located on the second floor, of the University Centre, just off Gordon Road, north of Stone road in Guelph. The station is open to visitors from 9 a.m. till 7.00 p.m. each weekday. MAIL THE CHEQUE: You can mail the cheque to: CFRU 93.3FM, U.C Level 2, University of Guelph, Guelph, Ontario, N1G 2W1. If you have a favorite show or, shows you wish to pledge the money to specifically, be sure to let us know which shows you are supporting. Please note: if you wish to have your gift(s) mailed to you, there will be shipping charges. Follow the PayPal link located on the front page of CFRU homepage at www.cfru.ca. You can come by the station to give it to us. We are located on the second floor, of the University Center, just off Gordon Road, north of Stone Road in Guelph. The station is open to visitors from 9 a.m. till 7.00 p.m. each weekday. Later in the hour Rob Case, from the Guelph International Resource Centre (GIRC), joined us to chat about the program for the 2010 Guelph Festival of Moving Media (GFOMM) taking place in a variety of downtown Guelph venues, on the weekend of November 5 to 7, 2010. GFOMM features films and videos that offer a global perspective and provide a broader viewpoint on day-to-day events than normally covered in the news media. The 2010 festival includes dozens of documentaries, two collections of animated shorts for children, and panel discussions. GFOMM’s goal is to serve as a catalyst towards increasing community understanding of the world and its diversity. In the 1980s, GFOMM ran for seven consecutive years, drawing large audiences to its unique mix of international feature films and documentaries. After a 13-year hiatus, the festival was revived in 2003 by the Guelph International Resource Centre (girc.org), a 30 year-old non-profit, non-governmental organization that educates Canadians about global issues as well as their local links. The festival gratefully acknowledges the support of Ontario Arts Council. 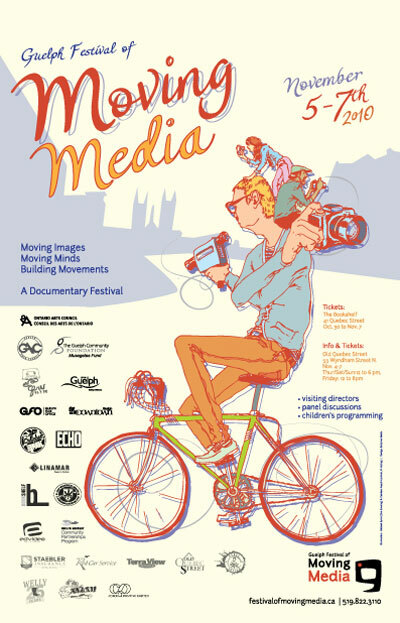 For more on GFOMM, including the 2010 programme, visit the festival’s website www.festivalofmovingmedia.ca. Special thanks to Rob and GIRC for agreeing to donate a rainbarrel to Raise Your Voice and two tickets for the opening gala at GFOMM, “Real Injun” . The rainbarrel went to Mike Darmon for a $50 pledge (Thanks, Mike!). The two tickets for the opening gala (a $30 value) are yours for a $30 pledge to CFRU. A great deal. E-mail us at info@royalcityrag.ca if you’d like them. 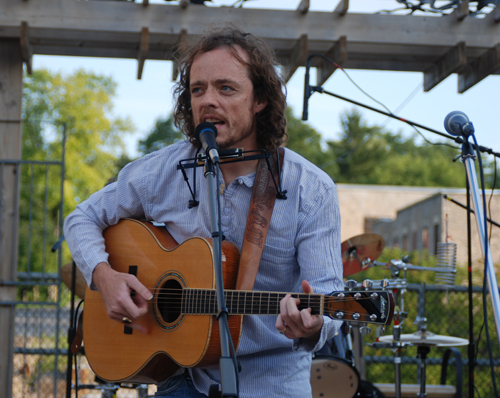 The Rockwood singer-songwriter with ukelele and guitar, Ian Reid, was our special guest on when we kicked off CFRU 93.3fm’s Raise Your Voice on Saturday, October 23. CFRU receives most of its funding through student levies and fundraising activities, such as the “Raise Your Voice” drive. CFRU does not operate like typical commercial radio programs where corporations use their stations as sources for advertising revenue. Instead, CFRU is limited by the CRTC as to how many advertisements can be played, leaving more broadcast time for great music and unique shows. The goal for the 2010 funding drive is to raise $15 000 to update the CFRU website, and help build the station’s capacity for spoken word content through the purchase of a user-friendly production board that will give volunteers the opportunity to be involved in the technical aspects of the station with ease. Thursday, October 21 – Foster Parents Appreciation Gala, Ariss Valley Golf Course, 5700 Highway 86, Ariss, ON 5 p.m.
Friday, November 19 – Lighting of the Christmas Tree, St. George’s Square, Guelph, ON 6-8 p.m. Learn more about Ian Reid at www.ianreid.ca. During the hour we also had time to talk to Virginia Gilham from the Friends of the Guelph Public Library about their huge book sale taking place in the former FastForms building at Massey and Imperial Roadsriends from Friday, October 29 through Sunday, October 31. Open Access Week is an annual international initiative designed to promote and advance changes in access to information. A global event now entering its fourth year, it provides an opportunity for the academic and research community to continue to learn about the potential benefits of Open Access. Should scholarly research be freely accessible online to everyone? October 21 from 3 – 5 p.m. Whether you imagine a researcher seeking to reach scholars in developing countries, a community practitioner needing up-to-date data, or a recent university graduate seeking scholarly information on a topic, it becomes easy to see how free online access to peer-reviewed scientific information and discoveries benefi­ts our communities and society as a whole. Guelph Voices of Open Access will connect scholars and community members to this global movement that seeks free open sharing of research ­findings. Talks will be followed by discussions and refreshments. Space is limited so be sure to RSVP to: researchshop@uoguelph.ca. Unfortunately, this venue is not wheelchair accessible. Open Access 101 – Exploring the background and concepts of the open access movement. Monday October 18, 2010, Noon -1.00 p.m.
Creative Commons Licence – What is it? How do we use it? Tuesday October 19, 2010, Noon – 1.00 p.m. The Google Book Settlement – What does this mean for Canadian authors? Wednesday October 20, 2010, Noon – 1.00 p.m.
For more information visit: www.openaccessweek.org. Community activist Laura Murr joined us on Royal City Rag on October 16 to discuss the real cost of growth. Growth is an issue that is barely getting a mention in a municipal campaign clogged by discussions of fiscal accountability and candidates trying to out do each other with rash promises of zero tax increases and tax moratoriums. Few people seem to understand that growth, especially residential growth costs the city money because of infrastructure costs, and few seem to realize that the cost of that growth will be born by the current taxpayer base. The city will grow, and the current city residents will pay for it through higher taxes. Guelph is scheduled for a development boom under the provincial growth plan, Places To Grow, with a population increase from 115,000 to a staggering 165,000 by 2031. All these people will need somewhere to live, never mind work. Say hello to some large scale residential development and extensive infill. Places to Grow mandates intensification within current limits which is is a good thing to curb sprawl but it is important to realize that infill development costs FOUR times as much as green field development. The taxpayers of Guelph will have to pay for this smart growth even if city services are drastically curtailed to make tax increases palatable. Guelph Land area is 87 square KM. Guelph population density per square km = 1,355 persons. In the BMA report this is considered to be high density. Consultant CN Watson has indicated that growth will cost between a 4.5 to 5.0% increase in property taxes each year in order to pay for the so called soft services in the Capital Budget required by new residents and businesses. This amount is not recoverable through development charges. It was a great discussion. You really need to check it out if you missed it. 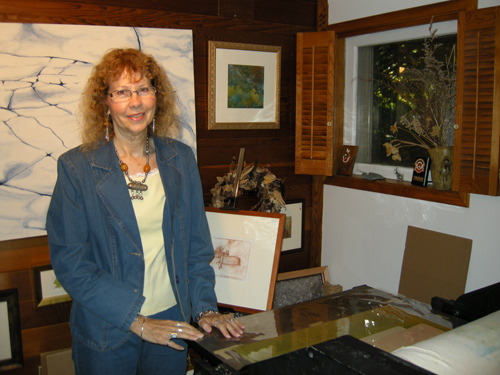 In the first hour (8-9 a.m.) on October 9 we again focused on the upcoming Guelph Studio Tour. 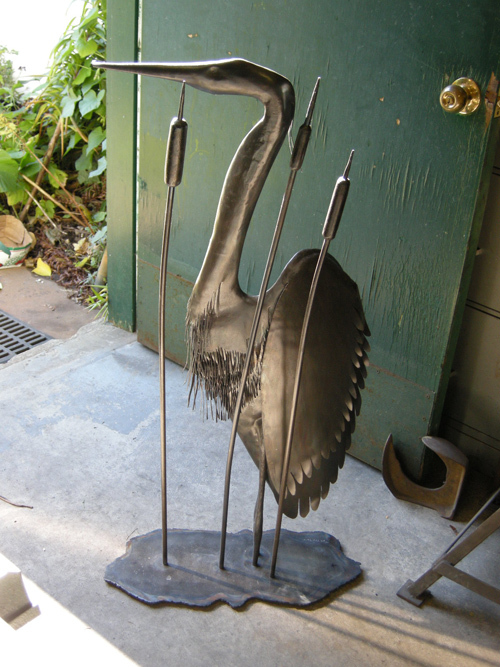 This time we dusted off some interviews from 2008 with blacksmith Graeme Sheffield, painter and printmaker Margaret Peter and painter Josef Kratochvil. 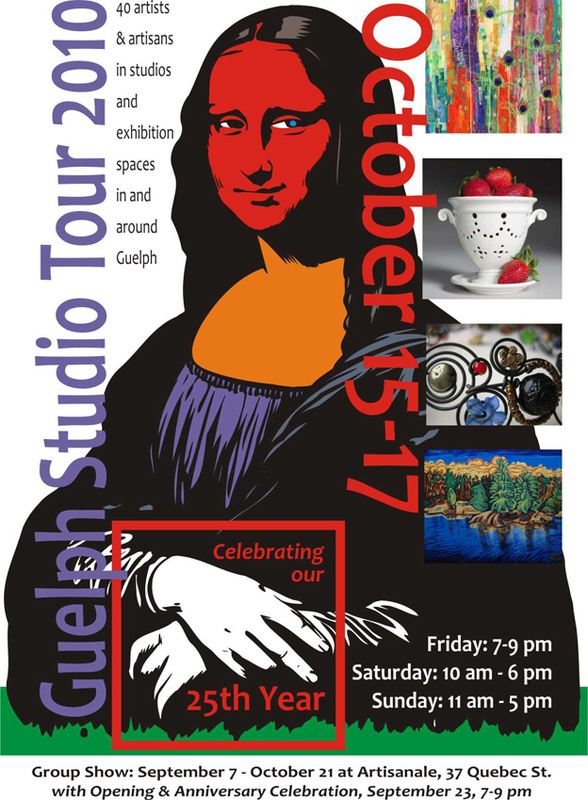 The tour takes place from October 15-17 in studios and exhibition spaces in and around Guelph. Featuring the work of 41 of Guelph’s finest artists, it is the perfect way to support our local arts community, providing not only a chance to visit and chat with the artists in their studio or exhibition space but also an opportunity to shop for something very special. Whether you are looking for a special gift, doing some early holiday shopping or choosing a beautiful object or piece of art for your home you will find a wonderful selection of unique fine art and craft at a very reasonable prices. The tour is open on Friday October 15 from 7 to 9 p.m., Saturday October 16 from 10 a.m. to 6 p.m. and Sunday October 17 from 11 a.m. to 5 p.m. 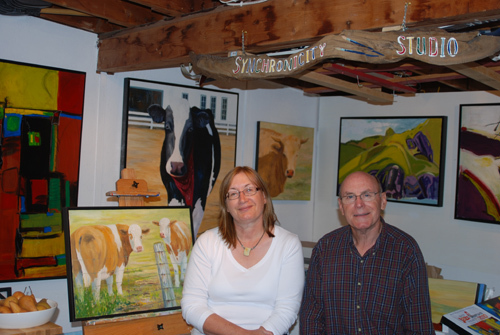 There is also a group show at Artisanale, 41 Quebec St., Guelph that runs through October 21, 2010. Admission is free. 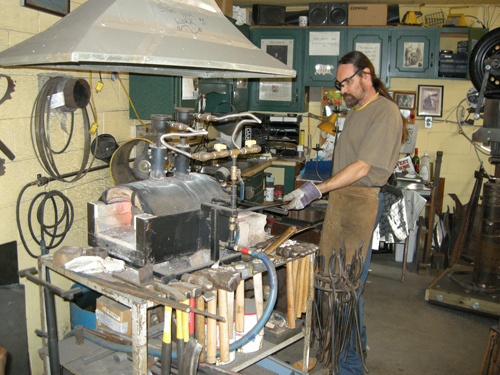 For more information on the studio tour visit www.guelphstudiotour.ca.